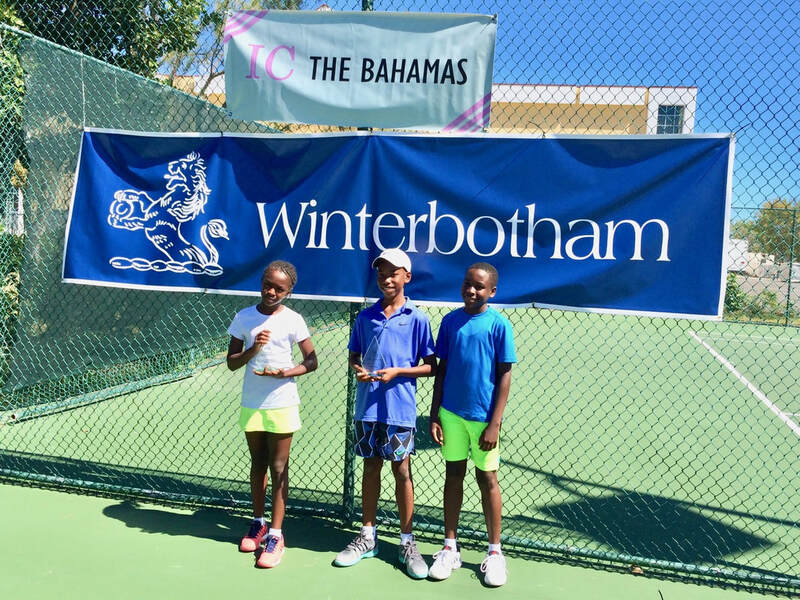 After successful events at the National Tennis Centre and Albany Tennis Academy the third event in The Winterbotham IC Junior Series moved to the Racquet Centre at Baha Mar last weekend and broke records for young under 10’s and 12’s participating. 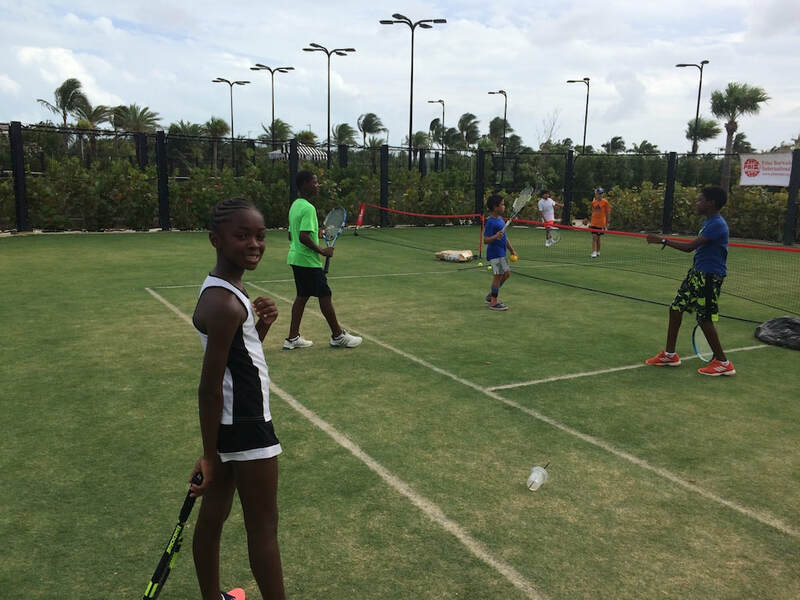 There were 46 juniors in this round robin series at Baha Mar for the youngest of competitors. Most juniors had five matches over the weekend to give them maximum experience and enjoyment. This time there were even three overseas players in the Boy’s 12 & under from USA and Ecuador adding extra interest. Several late entries that came in after the close and the draw had been done could not be accepted, or it would have been over 50 juniors - quite a challenge for the organisers with over 100 matches to be played! Fortunately, the weather held … although windy! One great feature was that Karl Vukobrat, the Tennis Director at Baha Mar, converted their grass court into 6 Mini Tennis courts with soft sponge balls. The mini courts were used for fun play outside of the actual tournament. It was a great success with all the juniors and even some of their younger brothers and sisters who were not in the tournament. It was a superb mixer for everyone in a fun environment. Meanwhile, it was tournament action Friday night, all day Saturday and Sunday on six hard courts. After the round robins, there were playoffs between opposite numbers all the way down each group. The resulting winners in addition to their Winterbotham IC Trophies and a good tennis experience got a “Free Entry” to the major “Little Mo” tournament in Florida ( worth $200). The winners were: Michael Major in the Boys 12’s, who after some good matches held off the competition from the three overseas players with Tito Chavez from Ecuador the runner-up. In the Girls 12’s, Sierra Rogers won over her good friend Saphirre Ferguson. In the Boys 10’s, it was a final of two Patricks with the young Patrick Mactaggart coming through over the older Patrick Mackey. In the Girls 10’s, Breann Ferguson won with Millie Beukes the runner-up. The “Charlie Farrington” Sportsmanship award went to Saphirre Ferguson. The IC (International Tennis Club) is an organisation of top tennis players with clubs in 40 countries and with the motto of “Hands across the net, friendship across the ocean”. It maintains tennis friendships and competition across all ages up to even 75-year-olds. It also aims to give back to tennis - the “game for life”. 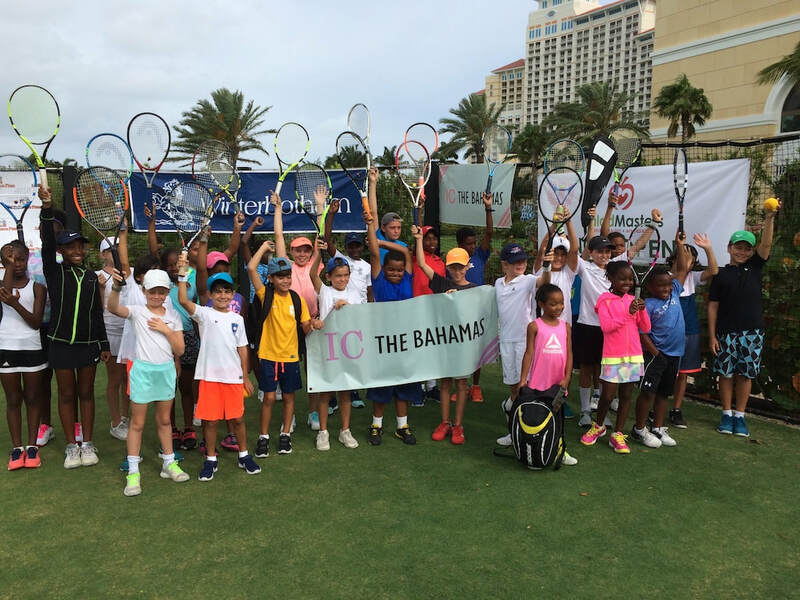 The IC is delighted with the success and participation in this series and extends a big thank you to both The Racquet Centre at Baha Mar and Winterbotham Trust Company for their support. The conduct of the juniors was excellent and supportive of each other. It is an excellent sign for the future of Bahamian tennis. It is entirely possible that all those competing could get tennis scholarships to University if they keep working at their games and their academics. Either way, they are making friendships and enjoying a game they can play all their life. The main organisers at this series are IC Members Neil Mactaggart, Mickey Williams, Bradley Bain and Kit Spencer. For more information on the worldwide IC organisation, go to www.ictennis.net.